How to make Conference Call on iPhone : Well, to gather people in a room for a meeting or discussion is an old way now and also a little daunting task when today everyone is busy with their own schedules and priorities. So to let you have a hassle free discussion with lot many people conference call can be the preference. Everybody may have quite often landed into the situation where they need to talk to more than one party at the same time may be for a business purpose or personal matter. And yeah, in case if you own an iPhone this doting task will become handy for you. So what say, want to know how make Conference Call on iPhone ? Many iPhone users do not realize that to make a call to multipurpose party the function is in built in the device itself and that you do not need any third party application for a successful conference call. You read it right and so as to initiate a Conference Call on iPads or iPhone you just need to follow the simple methods or steps mentioned over. If you are working for any big organization then video conference is one of the important activity. Most of the company owners are using iPhone. So here in this article, we are going to share how to make free Conference Call on iPhone. Your iPhone enables you to call upto five persons at the same time, so it easy to create an instant conference call. 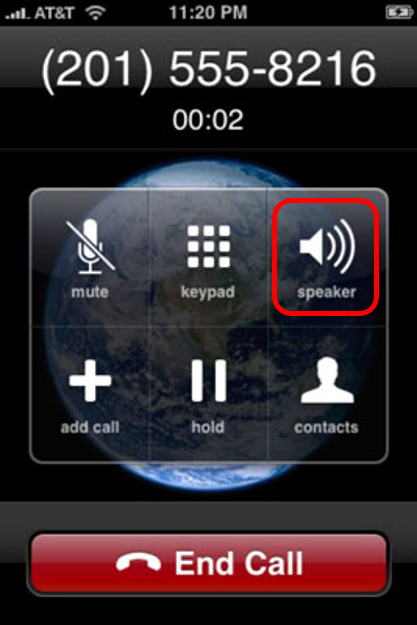 If you are using iPhone then it is very easy to make conference call. All you have to is an iPhone and everyone’s telephone number. It is very important to save that contact number in iPhone’s Contact directory for a Conference Call on iPhone. 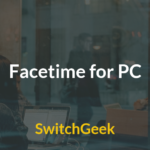 Step 1- Make an ordinary or normal phone call to any one of the participant out of all the people who you wish to connect on a conference call. To make a call to individual search for his name in contact list and make dial a call. 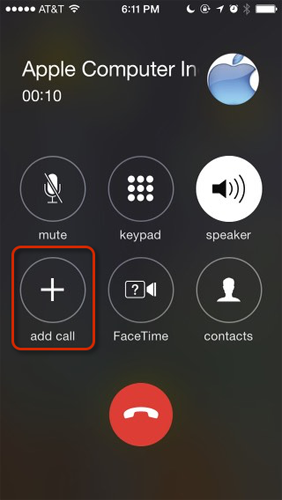 After when you will make a call several options will appear like Mute, Keypad, Speaker, Add Call, FaceTime, and Contacts. This method also works with how to make a conference call on iphone 6. Step 2- Now to add a third caller on the same call simply click on the Add Call option available on screen. Step 3- When you will click on add call option the first participant will go on hold and then find the person from your contact list that you want to call for a conference meeting. 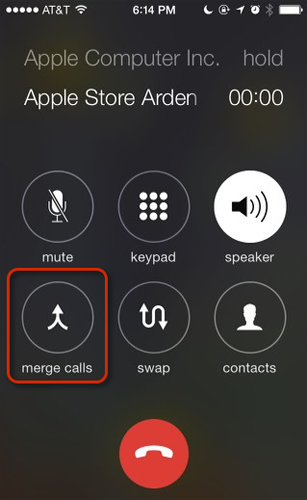 Step 4- After when the third party has picked up the call, all you have to do is tap the Merge Call button on screen to connect your previous caller to the one you called it now. Step 5- Now repeating the same steps as above of add Call and merge calls you can at one time connect five of the participants at the conference call of your iPhone. Further, this function of iPhone also allows you to answer any other call you getting at that time by simply holding and muting back your conference call and as well as you can disconnect any participant of your conference call while maintaining an ongoing discussion with others. Another interesting feature using your iPhone for conference call s that it allows you to do a private chat with anyone one of the participant while your conference call is still going on by simply tapping on hold and than by tapping on private option. 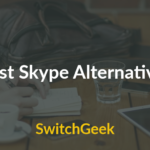 you might searching for how to make a conference call on skype iphone, this way you can do it. You can also activate speaker option that will allow you to participate in discussion without holding your iPhone near to your ears for long time. It also does not require that the other participants should also be an iPhone user to be a part of conference calling. looking for how to make a conference call on iphone 4s verizon ? no worry, we got solution for it as well. Well with these simple and quick steps, you can easily get your conference call done but apart from this in built method there are some apps as well that allow you to successfully hold a conference call on your iPhone. Well, the first app that you can prefer to make a conference call from your iPhone can be Voxeet. It is a simple app that allows you to make call to more than one persons simultaneously. And if you do not want to miss a single word of your conference conversation Voxeet is an option for you. 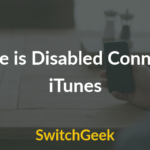 It is very easy to use as what all it requires is the downloading of app from your iTunes and then just importing your contacts from your iPhone address book or emails to this app. It can be called as a perfect tool that brings miles apart people together. Using app to Make Conference Call on iPhone is kind of easiest one. At one call at least 8 people can be connected. 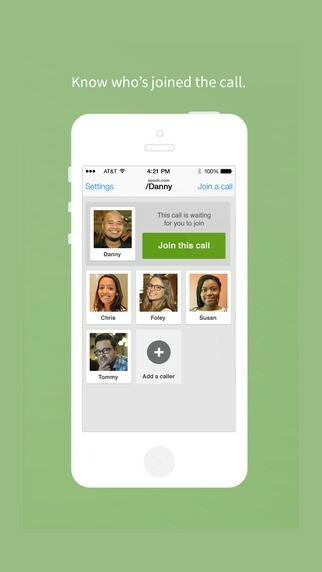 so you can Make Conference Call on iPhone. Yeah, that another app to prefer over when you want to make a hassle free conference call instead of struggling to bring all on the same time. Speek app is especially designed for iPhone users that allow you to make free visual and audio calls and its best part is that you do not even have to remember any number or PIN to contact a person. All it requires to setup the app is the personal URL that you will have to create like speek.com/yourname in order to begin your conference call. Apart from this you can also choose for its pro or premium package that costs you $19/month under annual scheme. With just one click away call option this Speek app can be yet another perfect app for you with high quality of sound technology to use. Get this international three way calling app by using this link. Free Conference Call Dialer app is one of the easiest apps to use while making or joining international conference calls. This app too does not requires remembering of passwords or account details as it will securely save all your Access codes or Dial in numbers for easy calling next time. using this app you can also learn how to make a 3 way conference call on iphone. Conclusion : Lastly, we are done with telling you the way you can make your iPhone calling an enhanced calling by using its default way of conference call. Else you can also try for the above mentioned and famous apps to make Conference Call on iPhone that let you have hassle free conference conversation with easy set up options. Try it you will love this new way or rest we are happy to guide you.